The perfect accent for your High End Kitchen and Perfect for the Dog Lover! 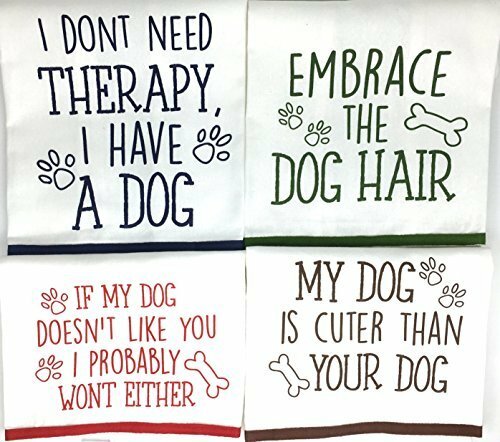 Set of 4 Towels: "I don't need Therapy, I have a Dog", "My Dog is Cuter than Your Dog", "Embrace the Dog Hair", "If my Dog doesn't like you, I probably won't either"
If you have any questions about this product by Lucky Dog, contact us by completing and submitting the form below. If you are looking for a specif part number, please include it with your message.